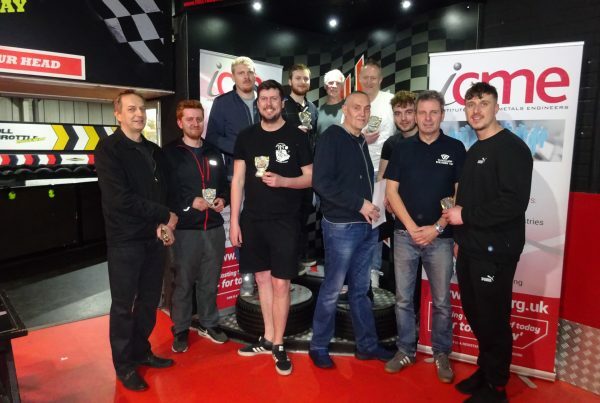 Full Throttle Raceway – Branch Social Evening 6th March 2019. 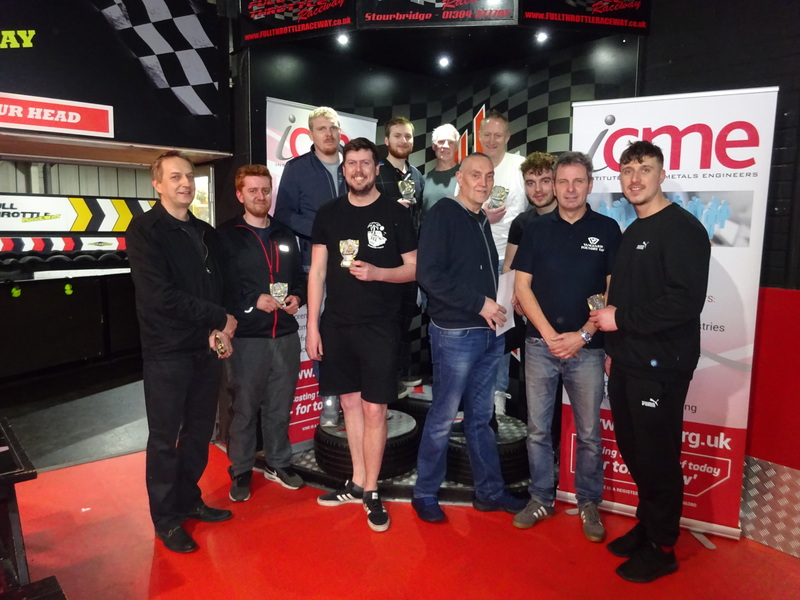 As part of a drive by the West Midlands Branch to appeal to younger foundrymen and women, a go-karting event was organised at Full Throttle Raceway in Stourbridge. Invitations were issued to foundries and supplier organisations to enter a team of 4 drivers for the event. On the night 8 teams competed and the competitors were a good mix of both the young and a few more mature members and guests. 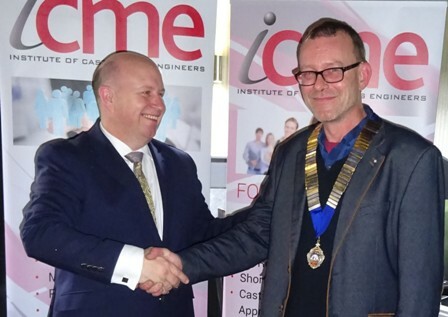 The aim was to introduce the Institute to potential members in an informal manner without putting pressure on anyone to join ICME. Whilst there was good camaraderie and banter in the viewing area, competition was quite fierce on the track. The event took the form of a 100 minute endurance race with the aim of completing the most laps within the allotted time. At the end of the 100 minutes, the three teams which had recorded the most laps were presented with medals for 1st, 2nd and 3rd place. The branch also marked their success with prizes of the liquid kind. The branch would like to thank Omega Foundry Machinery Ltd for sponsoring the prizes. 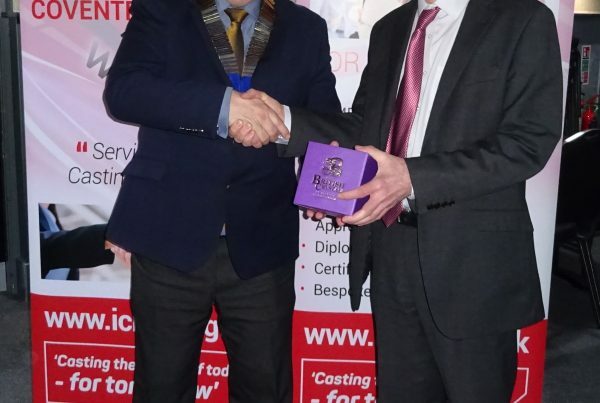 The night was considered a great success and as a result the event may be repeated next year. Before starting to firm up the arrangements, the branch would like to invite foundries, foundry suppliers, ICME branches and any associated organisations to get in touch with the West Midlands Branch and register your interest. Teams of 4 drivers are sought, and the cost of entry will be £120 per team.